We know the University of Washington prides itself on being at the front of the pack when it comes to technology and social media interaction at your commencement ceremony. 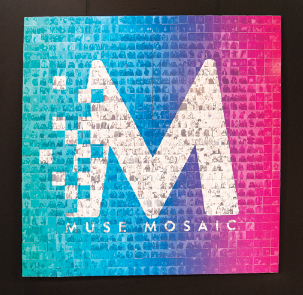 Our hashtag mosaics are the perfect addition because they not only help promote more social interaction, but they also are a great way to save and capture all of the great posts in one large piece of art. Guests are invited to participate and create a billboard-sized work of art – live and in real-time, powered by your event’s social media hashtag. Using your own commencement hashtag already established for your tagboard, photos will be printed and placed on the giant billboard filling in live as the ceremony progresses. At the end of the ceremony your billboard will be finished and complete for all of your guests and graduates to see as they exit.